We’ve been a bit spoiled with some fairly mild temperatures this summer. Last week and this week, however, we have felt the brunt of Kansas heat. 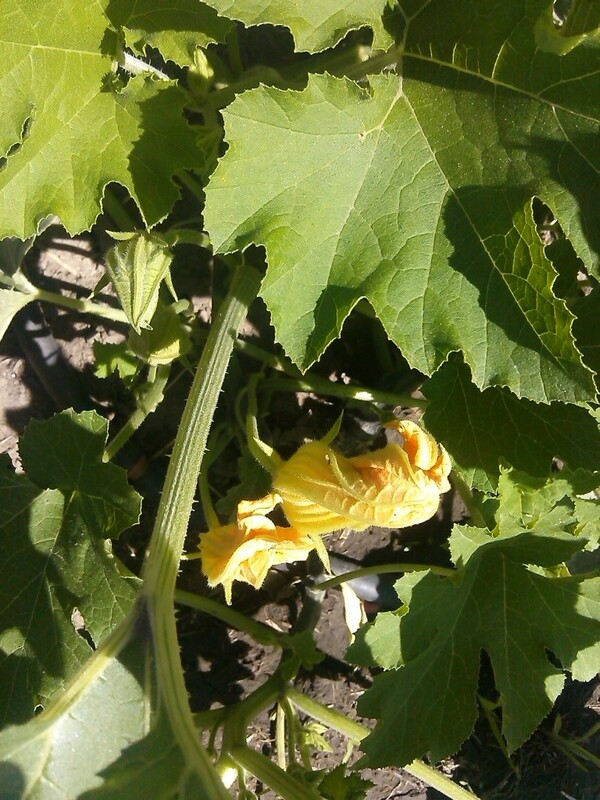 Early this morning, the pumpkin plants looked beautiful-dark green vines, bright yellow blossoms, and busy bees. Grammy went to get her camera before noon, and this is the result.